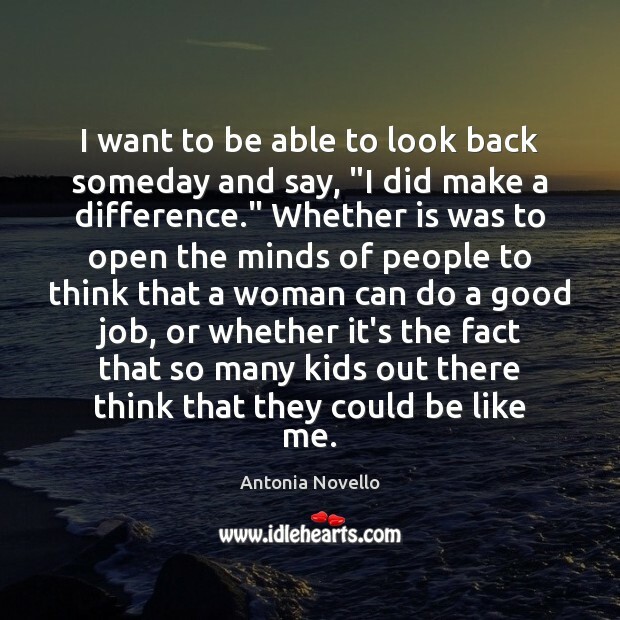 Enjoy the best inspirational, motivational, positive, funny and famous quotes by Antonia Novello. Use words and picture quotations to push forward and inspire you keep going in life! I want to be able to look back someday and say, "I did make a difference." Whether is was to open the minds of people to think that a woman can do a good job, or whether it's the fact that so many kids out there think that they could be like me. 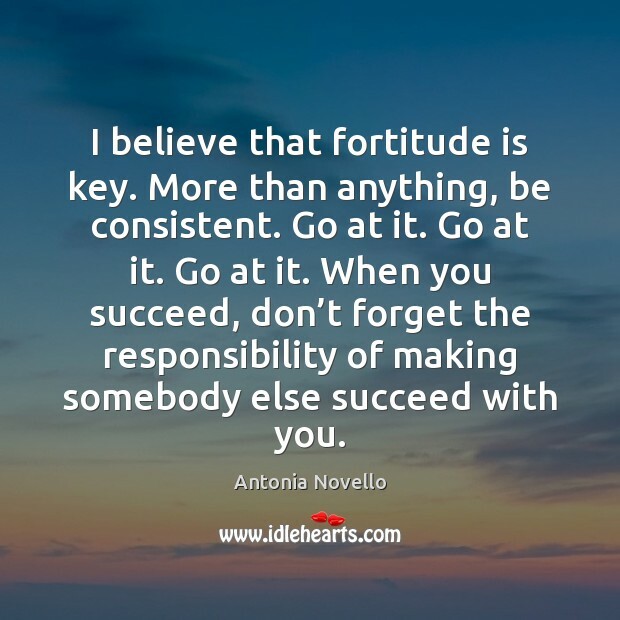 I believe that fortitude is key. More than anything, be consistent. Go at it. Go at it. Go at it. When you succeed, don’t forget the responsibility of making somebody else succeed with you.